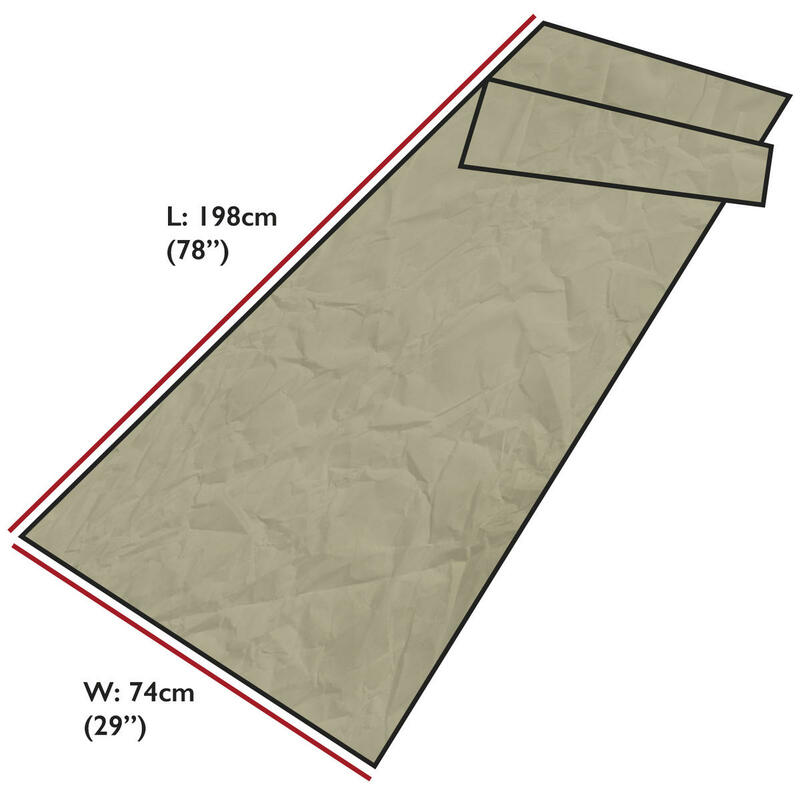 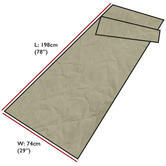 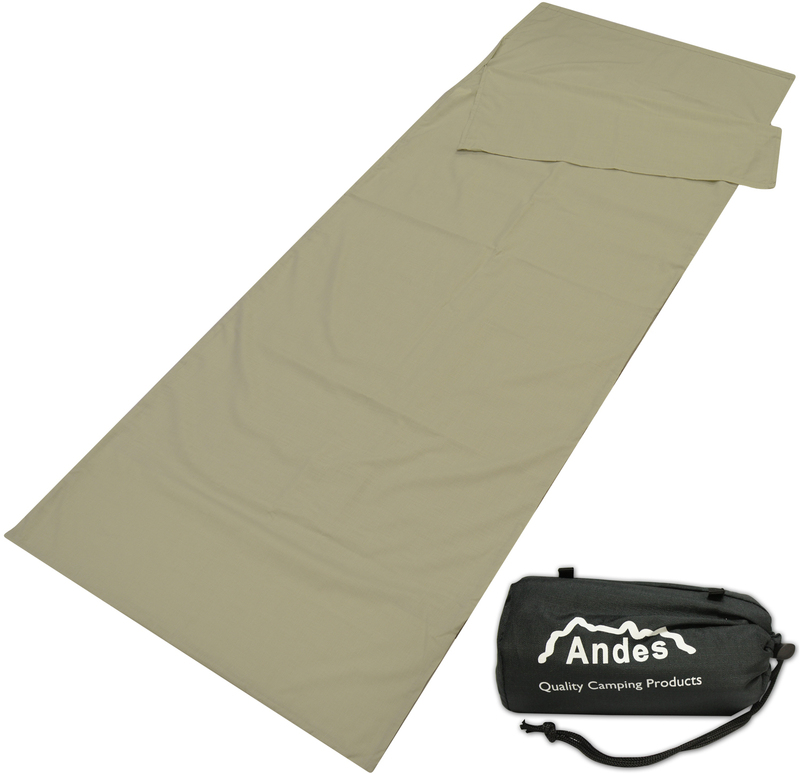 The Andes Envelope Sleeping Bag Liner is designed to fit into a envelope sleeping bag, and is used to protect the sleeping bags life by protecting the inside of the bag from dirt and moisture. 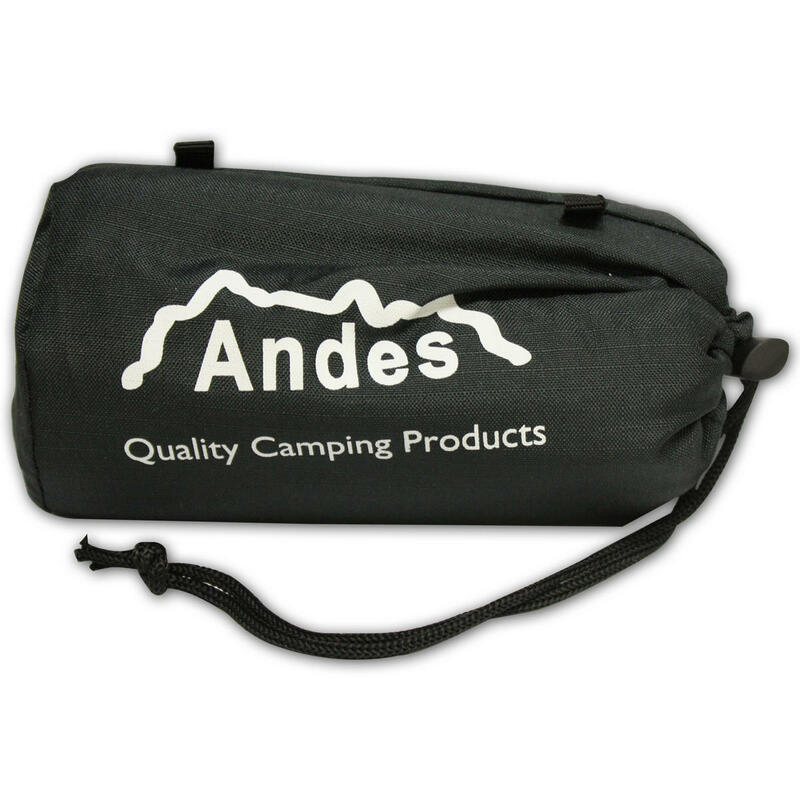 It is also extremely useful at providing more insulation by giving an extra layer to trap the air inside the sleeping bag. 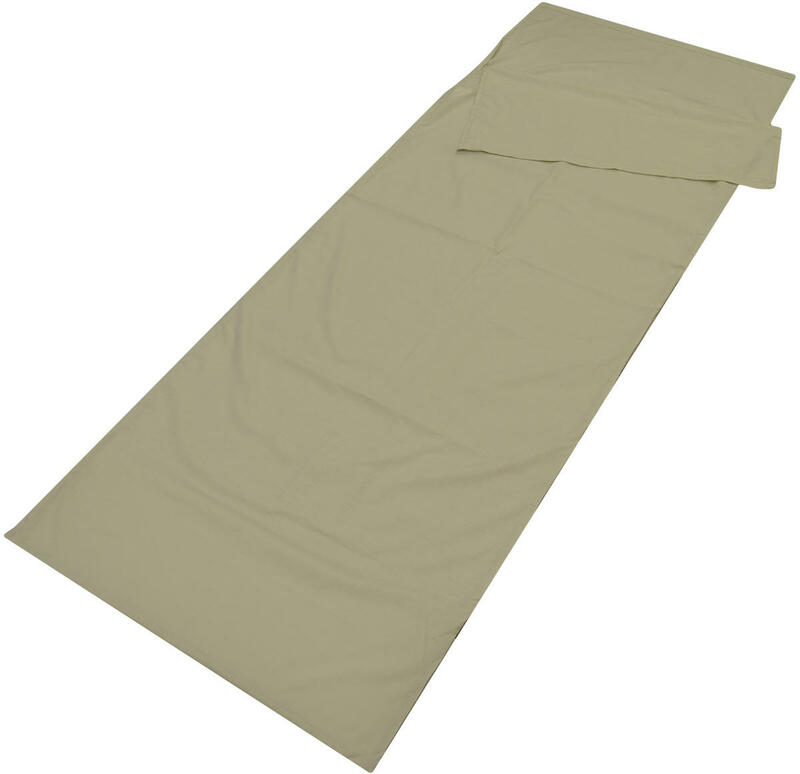 Made out of soft polycotton, it is a high quality liner suitable for machine washing. It is extremely lightweight, weighing in at only 300g (approx.) and comes with a carry bag for easy storage and transportation. This is a must have when camping, and as an Andes product you know it is one that you can trust. Colour: White, Material: Polycotton, Size: L: 198 x W: 74cm, Weight: 295g.